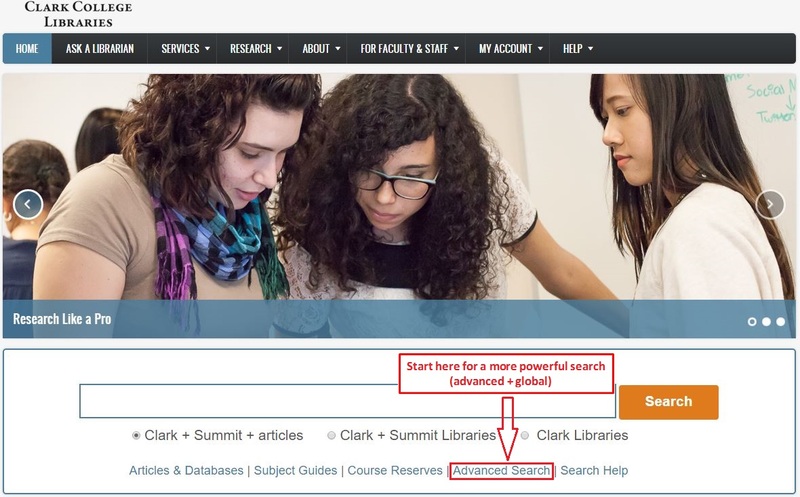 You can conduct a global search in the Clark College Libraries Catalog more effectively by combining it with the Advanced Search option. From the Clark College Libraries homepage, click on the Advanced Search hyperlink under the search box. 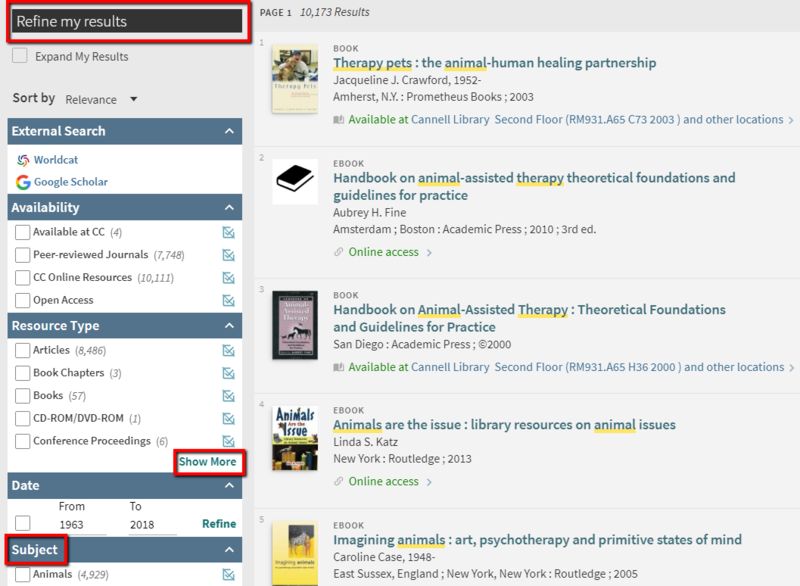 In the Advanced Search screen of the Library Catalog, select the Clark + Summit + articles (global) search scope from the Search In drop-down menu. Then enter your search terms. Focus your search upfront by indicating, whether your keyword should be in the subject category rather than Any field of the resource. To retrieve words with the same root but different endings, use the asterisk symbol after the root of the word. For example Pet* will include "pet", “pets”, etc. 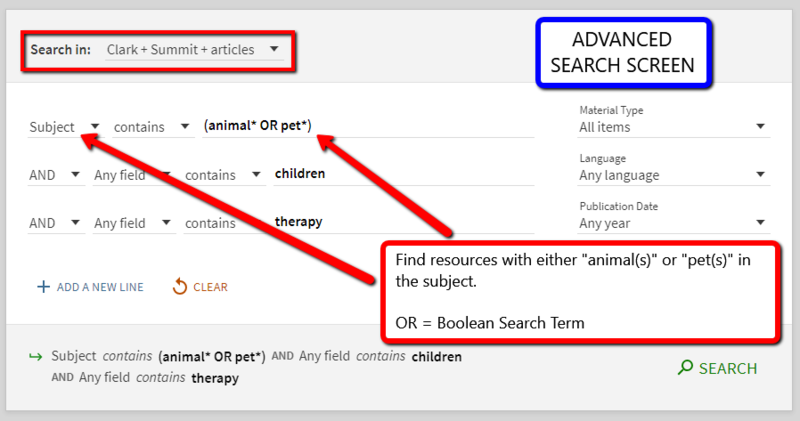 Use Boolean operators (logical terms that define search criteria = AND, OR, NOT in capital letters) to get results for specific search combinations. (use AND from the drop-down menu next to the first and second search boxes). Show More hyperlink includes full list of options for a specific search filter.